I. Meeting called to order 6:47 pm. II. Board Members in Attendance: Grelson, Glenka, Kolbeck and Miller. Members Present: Lon McCullough, Christina Kirksey, Doug Cole, Kristie Parsons. Assemblyman Randall Kowalke and Karen Kowalke. IV. 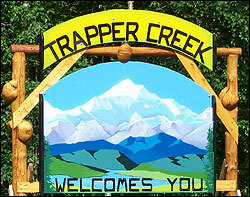 Assembly Report: Trapper Creek Gravel interim materials district to be reviewed at February 2nd meeting. 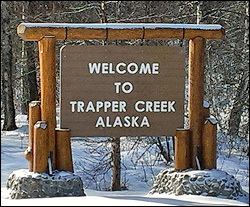 V. TCCSA CIP Report: CIP#4 – $20,000 requested by mail to be used for parking lot upgrades and other miscellaneous upgrades. X. Public Forum: Parsons wants to know if the rules set forth by the TCCC Constitution for the recently held election were followed. Review of the ballots and seating of the new Board of Directors – Motion by Miller to redo the vote in question to satisfy the questions brought up about the procedures. Seconded by Kolbeck. Motion passes unanimously. Vote January 28 to February 13. McCullough and Grelson to tally. Draft letter for Revenue Share FY2015 was reviewed and accepted. Project proposal deadline is April 21, 2016. XIII. Date of next meeting scheduled for February 18, 2016 at 6:30 pm. This entry was posted in Meeting Minutes on January 25, 2016 by Chris Boone. Semiannual financial reports due to Borough by January 20 for revenue share projects. Draft letter to request project proposals for FY15 revenue share funds. This entry was posted in Meeting Agendas on January 21, 2016 by Chris Boone.